This classic medallion-style design commemorates an impressive birding life list of 700 birds! Reaching 700 birds is an achievement not reached by many. The circular design is done in warm shades of red and gold. 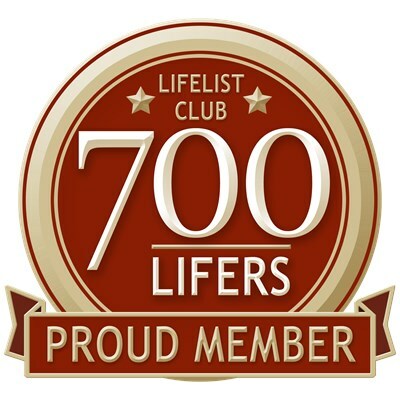 Full text reads LIFELIST CLUB | 700 LIFERS | PROUD MEMBER. To order by phone, call toll-free at 1-877-809-1659 from Monday - Saturday 9:00am - 9:00pm EST. You'll need to note the Product Number 030-1235303660 to make your order.